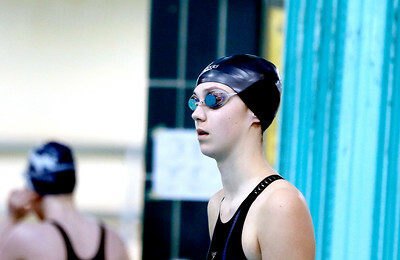 Sarah Nader - snader@shawmedia.com Crystal Lake co-op's Valerie Tarazi of Prairie Ridge looks at her time after competing in the 200-yard individual medley in the finals of the IHSA Girls State Swimming Championships at Evanston Township High School Saturday, Nov. 19, 2016. 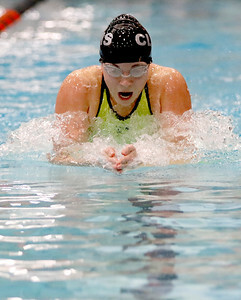 Tarazi came in sixth place with a time of 2:05.59. Sarah Nader - snader@shawmedia.com Payton Lange of McHenry before swimming the 50-yard freestyle in the final of the IHSA Girls State Swimming Championships at Evanston Township High School Saturday, Nov. 19, 2016. 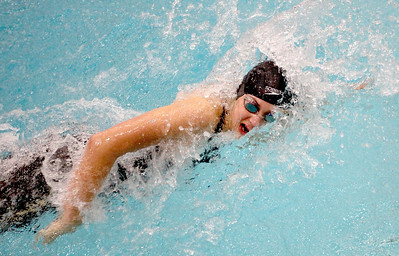 Sarah Nader - snader@shawmedia.com Crystal Lake co-op's Valerie Tarazi of Prairie Ridge competes in the 200-yard individual medley in the finals of the IHSA Girls State Swimming Championships at Evanston Township High School Saturday, Nov. 19, 2016. 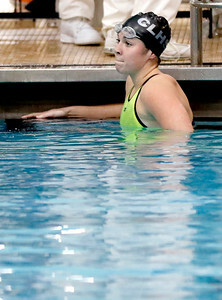 Tarazi came in sixth place with a time of 2:05.59. Sarah Nader - snader@shawmedia.com Payton Lange of McHenry competes in the 50-yard freestyle final at the IHSA Girls State Swimming Championships at Evanston Township High School Saturday, Nov. 19, 2016. 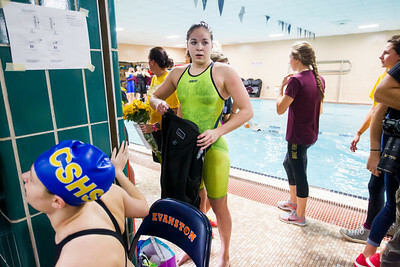 Sarah Nader - snader@shawmedia.com Crystal Lake co-op's Valerie Tarazi of Prairie Ridge after she competed in the 200-yard individual medley in the finals of the IHSA Girls State Swimming Championships at Evanston Township High School Saturday, Nov. 19, 2016. 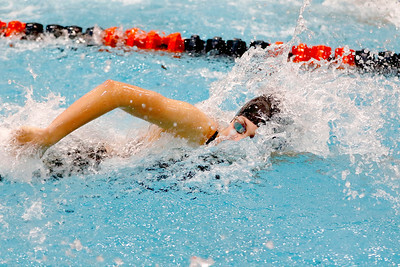 Tarazi came in sixth place with a time of 2:05.59. Sarah Nader - snader@shawmedia.com Payton Lange of McHenry looks at her time after competing in the 100-yard freestyle final at the IHSA Girls State Swimming Championships at Evanston Township High School Saturday, Nov. 19, 2016. Lange finished in sixth place. Sarah Nader - snader@shawmedia.com Payton Lange of McHenry competes in the 100-yard freestyle final at the IHSA Girls State Swimming Championships at Evanston Township High School Saturday, Nov. 19, 2016. Lange finished in sixth place. 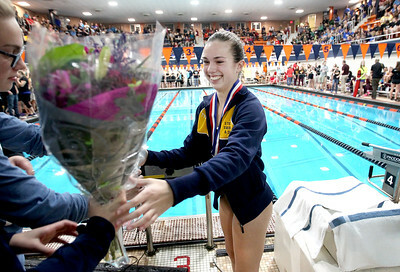 Sarah Nader - snader@shawmedia.com Sterling's Kallie Zuidema receives her metal after competing in the diving final at the IHSA Girls State Swimming Championships at Evanston Township High School Saturday, Nov. 19, 2016. Zuidema finished in third place. Sarah Nader - snader@shawmedia.com Sterling's Kallie Zuidema pumps herself up in between dives during the diving final at the IHSA Girls State Swimming Championships at Evanston Township High School Saturday, Nov. 19, 2016. Zuidema finished in third place. 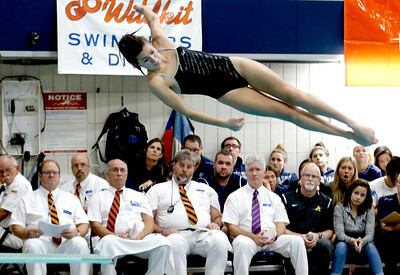 Sarah Nader - snader@shawmedia.com Sterling's Kallie Zuidema competes in the diving final at the IHSA Girls State Swimming Championships at Evanston Township High School Saturday, Nov. 19, 2016. Zuidema finished in third place. Sarah Nader - snader@shawmedia.com Ema Rajic (left) hugs Crystal Lake co-op's Valerie Tarazi of Prairie Ridge after they competed in the 100-yard breaststroke final at the IHSA Girls State Swimming Championships at Evanston Township High School Saturday, Nov. 19, 2016. Tarazi finished in second place. 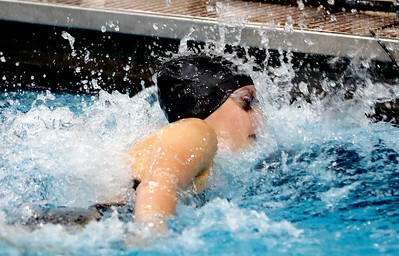 Sarah Nader - snader@shawmedia.com Crystal Lake co-op's Valerie Tarazi of Prairie Ridge competes in the 100-yard breaststroke final at the IHSA Girls State Swimming Championships at Evanston Township High School Saturday, Nov. 19, 2016. Tarazi finished in second place. 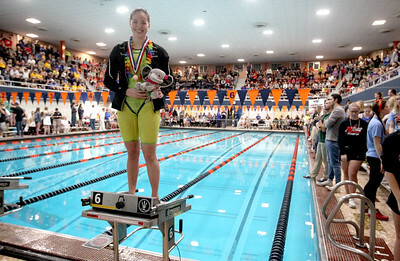 Sterling's Kallie Zuidema receives her metal after competing in the diving final at the IHSA Girls State Swimming Championships at Evanston Township High School Saturday, Nov. 19, 2016. Zuidema finished in third place.